MSA team members with Nexo components. Back row: MSA’s Stephen Ganong, Mike LeCates, RJ Howett, Tedd Winneberger, Phil Harsin, Charlie Briddell and Maurice Hein. Front row: Christian Tauler, Austin Carter, Bob Quinones, MSA founder Kevin Short, Yamaha/Nexo’s Preston Gray, Mark Bystrak and Gino Bailey. 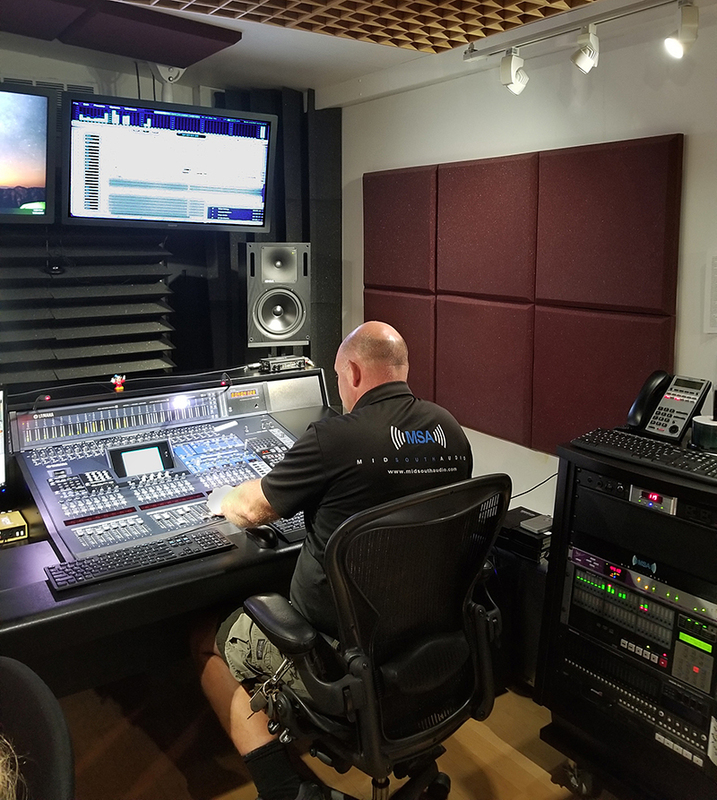 Mid South Audio (MSA) is a bit of a misnomer for the company that Kevin Short founded 29 years ago as the lone employee of a small recording studio in the Delaware area better known as the Mid Atlantic. That recording studio has morphed over the years, with an additional 10,000-square-foot facility currently under construction. The new building will house an inventory that now includes sound, lighting, video, staging, an expanded loading dock area and a front office space. 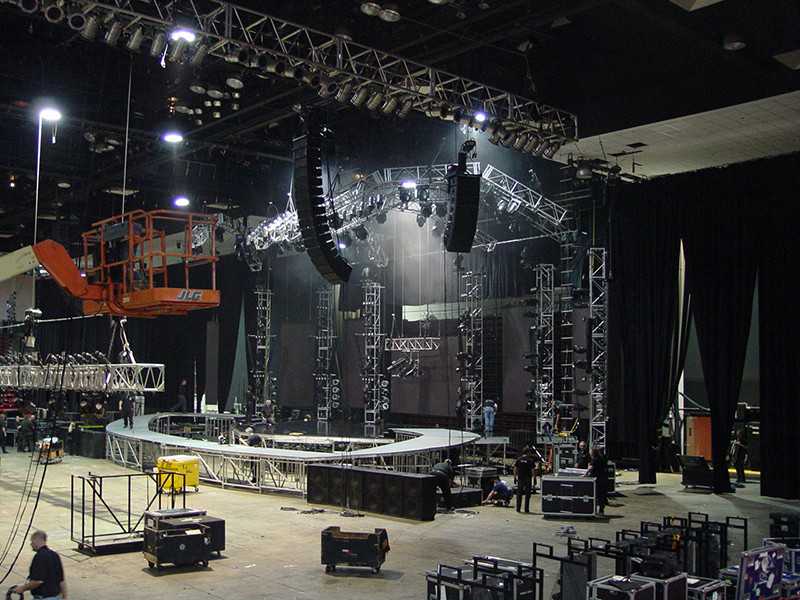 They carry rigging and the Stageline series of staging and decking as well. 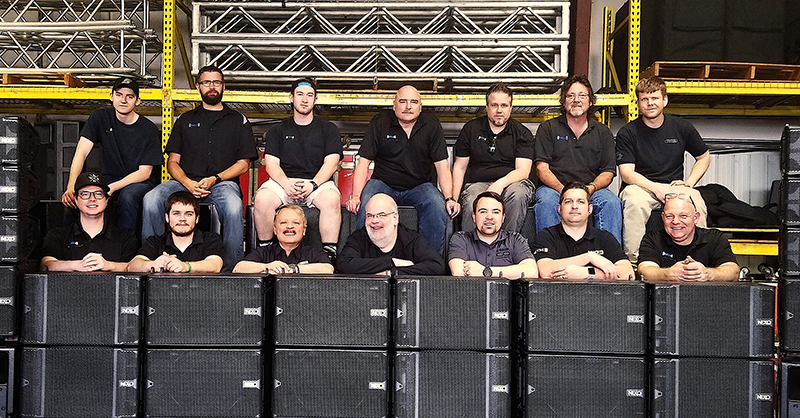 Short’s staff has grown to 12 full-time employees and a sizable group of freelancers who stay “as busy as they want to be” staging events and doing permanent installations. The new warehouse has 4,000 square feet of loading dock space. Short worked as an intern at a local recording studio, which strengthened that desire even more, and in 1989, he began making that dream into reality. He supplemented his income and financed building the studio by doing equipment repair and a few small sound system installs. Based on his experience as an intern, he’d later develop an internship program at MSA. He mixes in his church when time affords, but “I don’t do as much as I’d like to, since my role has changed quite a bit over the years,” he notes. “We were a company of one the first few years,” Short explains. 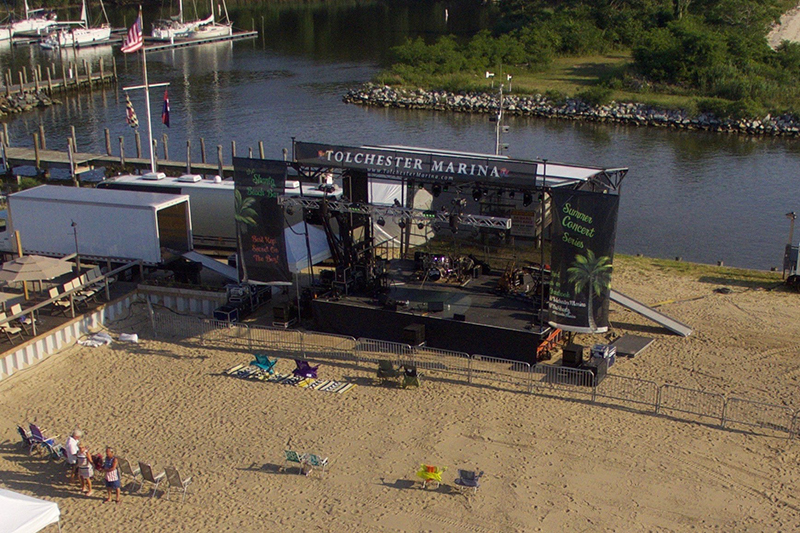 “The sound system rentals then were just contract work for a couple of bands that I’d known for a long time. That kind of snowballed into more bands requesting systems,” says Short. At that point, he hired an employee, and the company formally began sometime around 1989. Big or small, MSA does it all. 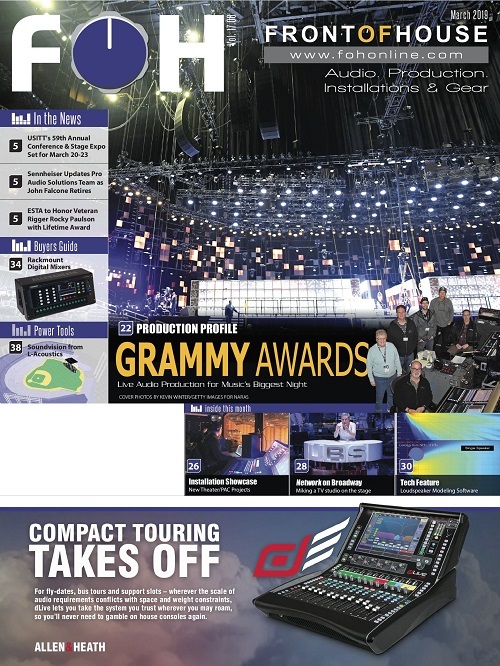 As the audio production side of the business grew, Short strived to meet the demand. “It kind of snowballed from there,” he recalls. “We did a lot of work at the state fair and bluegrass festivals, where we got additional exposure to our work with bands in the clubs.” During the Bluegrass season, multiple festivals occur at the same time. In order to cover all his customers, Short wound up cross-renting too often. 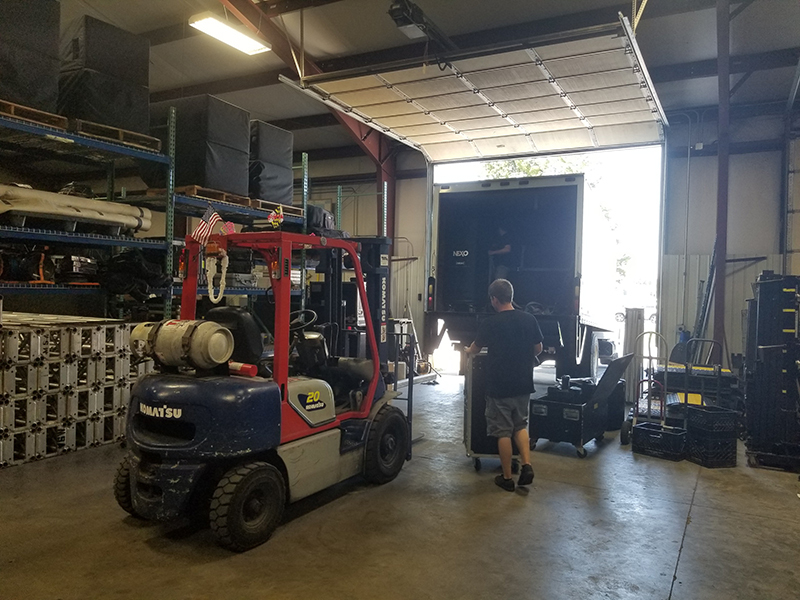 From 1996 through 2005, this demand — coupled with customers increasingly seeking a one-stop shop solution — prompted Short to purchase three lighting companies, a sound company and a backline supplier. These were all either closing or going into receivership. Since MSA’s inception in 1989, Short developed great friendships and relationships with his manufacturers. “Through their help, we were able to add to the inventories of those purchased companies with quality new gear as well,” he says. 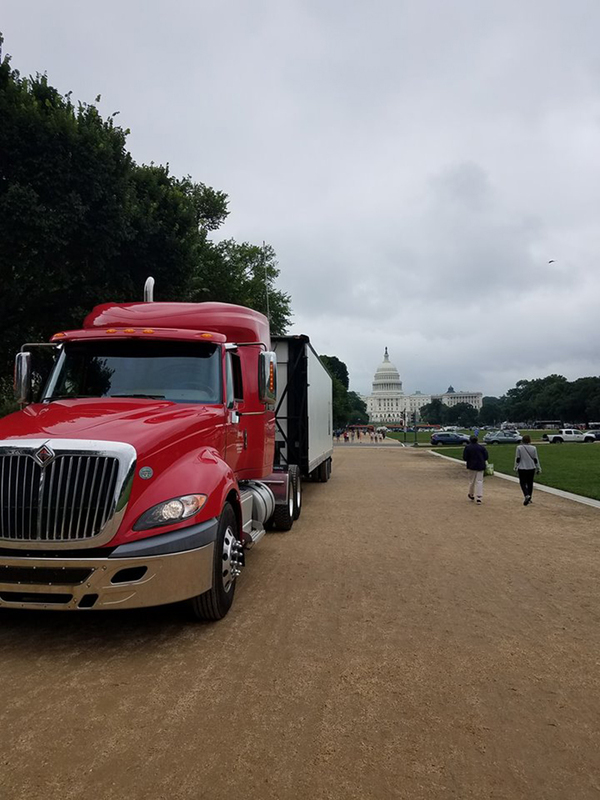 A recent call to the nation’s capital, for this SL250 deployment on the Washington Mall. Seeking to further fulfill his customer’s needs, Short partnered with a staging and labor company called Tours, Entertainment, Amusement and Management (TEAM). These relationships also helped MSA’s steadily growing permanent sound installations business take root. In 1996, Short realized he needed to develop a total integration service to better compete in the installation business. The company now is able to provide cutting edge lighting and video along with their sound installations into any facility their customers need. Stageline SL250 setup on the beach. In 2017, Short and MSA faced the same challenge they had experienced in the early 2000s — running out of gear due to broad demand as providers on shows. Cross rentals from other local vendors increasingly became more of a regular way of doing business. More to the point, it became an inconvenience to rely on fellow vendors that were experiencing high demand as well. interviewed about 100 production managers he had worked with in the last five years, asking what they would choose if they could have any P.A. system they wanted. Short then cross-referenced this info with the riders that came across his desk. “This was going to be the largest single audio purchase in our company’s 29-year history,” Short says. 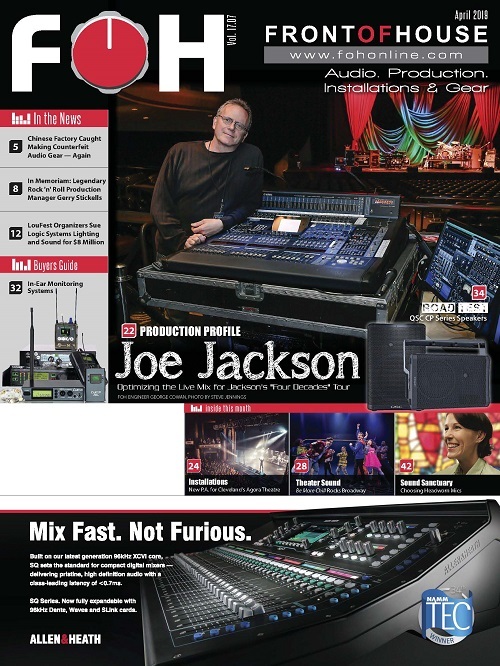 The result of all that due diligence: Short chose a 98-box rig of Nexo STM. From a rental perspective, Short says, the Nexo STM line array offers flexibility, sonic excellence, and increased output for its customers. “There’s a unique return on investment with a scalable and modular system like the STM,” he notes. 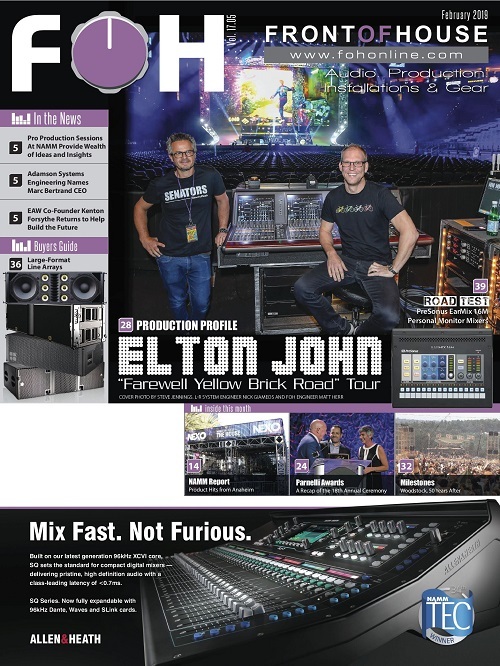 “It’s simple to use, and like a Lego system, we can configure it the way we want, for example, breaking it into four systems for four separate gigs or corporate events. 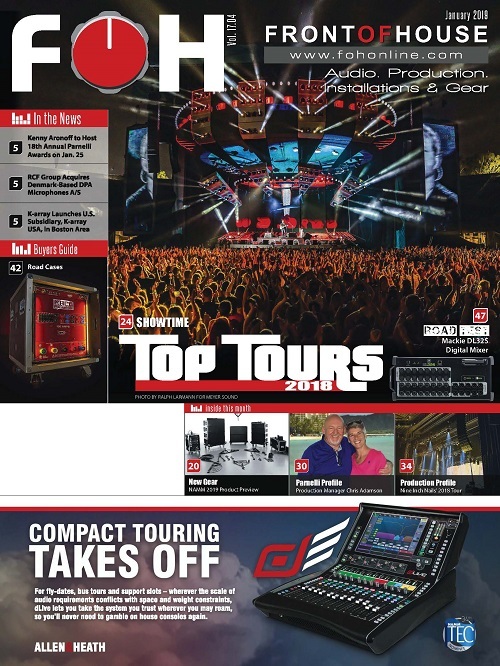 “Of course, sound quality was a huge factor,” Short adds, “and although cost is always a consideration, there are different requirements for the various line array systems, but the financial difference between the two systems we were deciding upon didn’t play a big role. 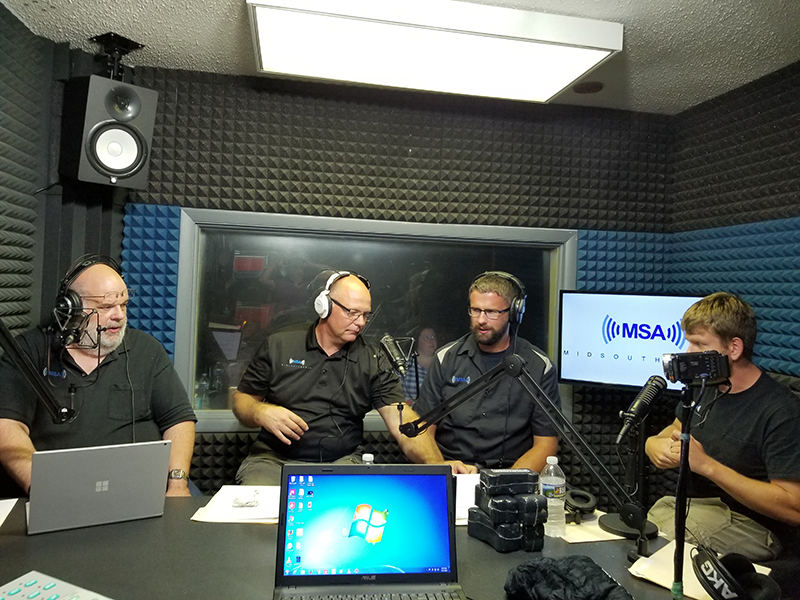 From left, Kevin Short, Gino Bailey, Mike LeCates and Maurice Hein record one of MSA’s popular Tech Talk Live segments. Currently on the books are scheduled dates with Lee Brice, Trombone Shorty, The National Folk Festival, Jefferson Starship, Max Weinberg, Take 6, Cheap Trick and many corporate events. Upcoming installations, meanwhile, include seven performance spaces at the Maryland Renaissance festival in Crownsville, MD and many churches, theaters and schools. The control room of the in-house recording studio. The new 10,000-square-foot office space also features a demo room that will double as a learning center. “As part of our partnership with clients, we’ll provide in-depth training in layman’s terms for customers and regular training staff,” notes Short. The demo room will also serve as the new home for their popular Facebook Live show, Tech Talk Live — a monthly Q&A show that always features a new product segment and many giveaways. The 16-track-on-1” tape recording studio that started it all will more than double in size in the new facility currently under construction, from 1,600 to 3,800 square feet. It will feature a Yamaha PM2000 digital console with capabilities to record a gambit of multiple platforms, from hard drive to Pro Tools to Cubase. 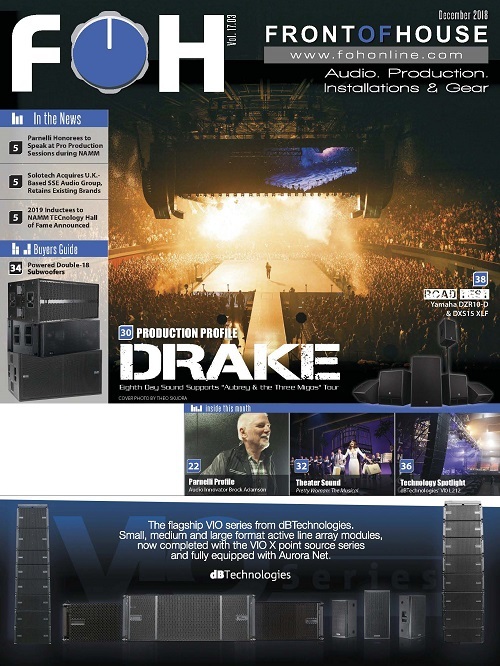 For more info, visit www.midsouthaudio.com.